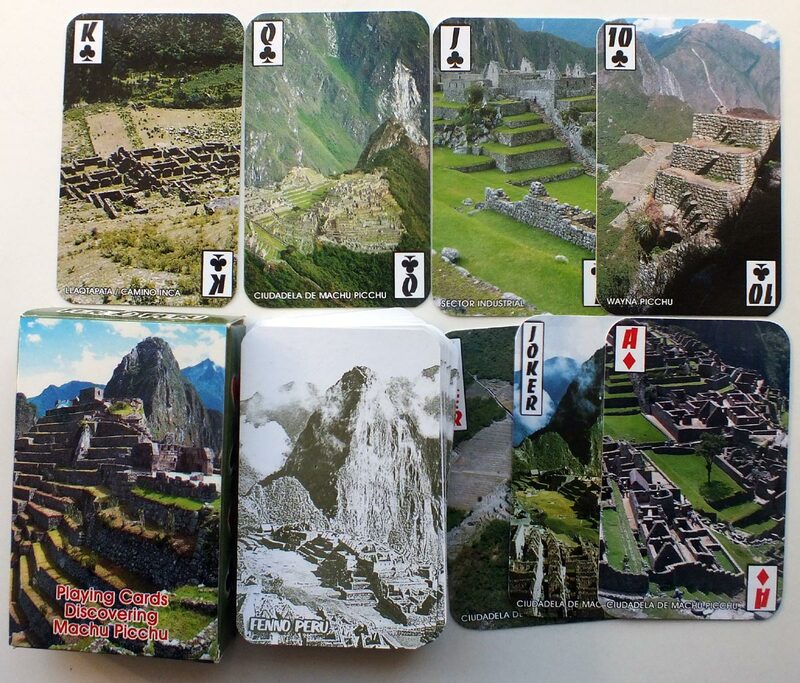 Fenno Products of Peru produce a range of souvenir playing cards with titles including: "Discovering Peru", "Discovering the Jungle", "Discovering Puno" & "Discovering Machu Picchu". 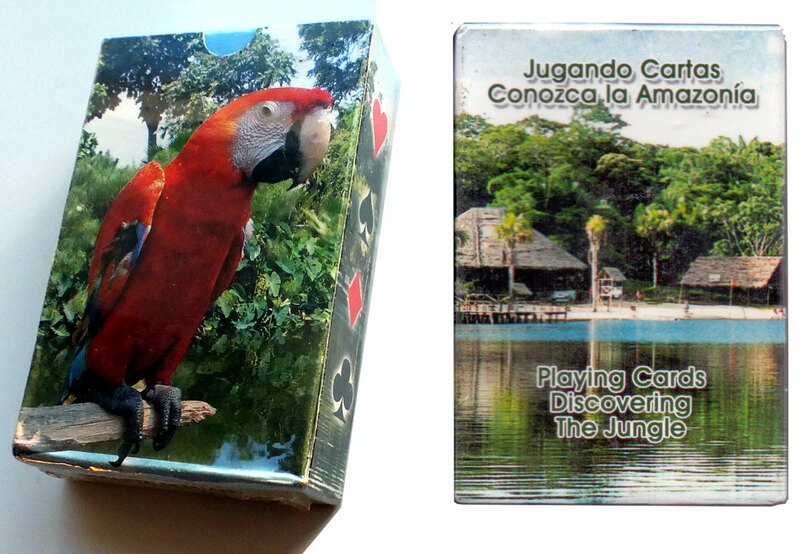 The cards are plastic coated and feature full colour photographs of locations with captions in spanish. 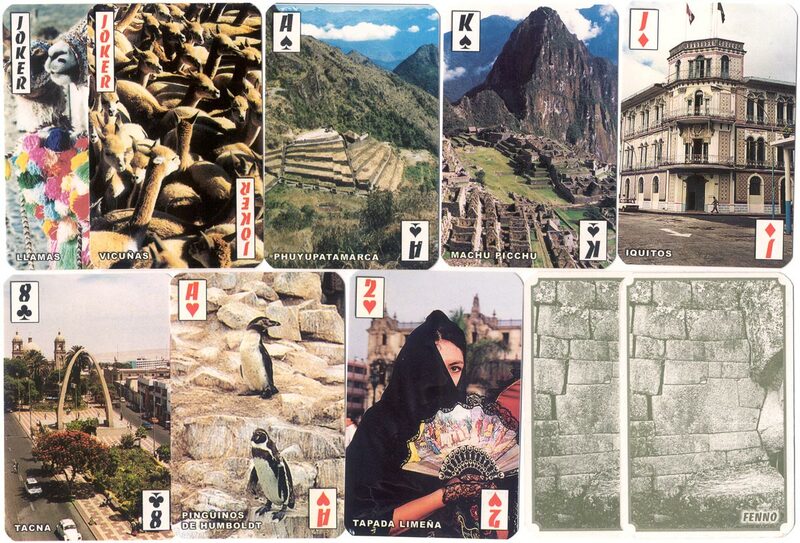 Many of the photos appear in different packs. Packs contain 52 cards + 2 jokers. 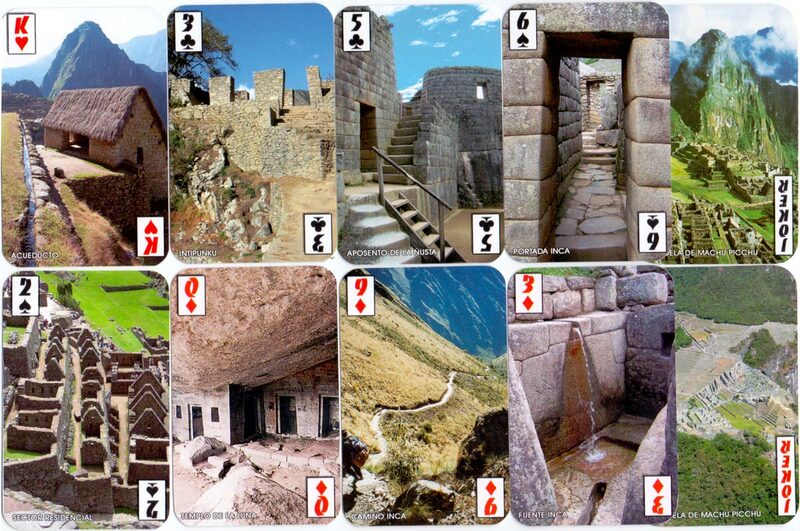 Above: cards from "Conozca Perú / Discovering Perú" pack published by Fenno Peru. 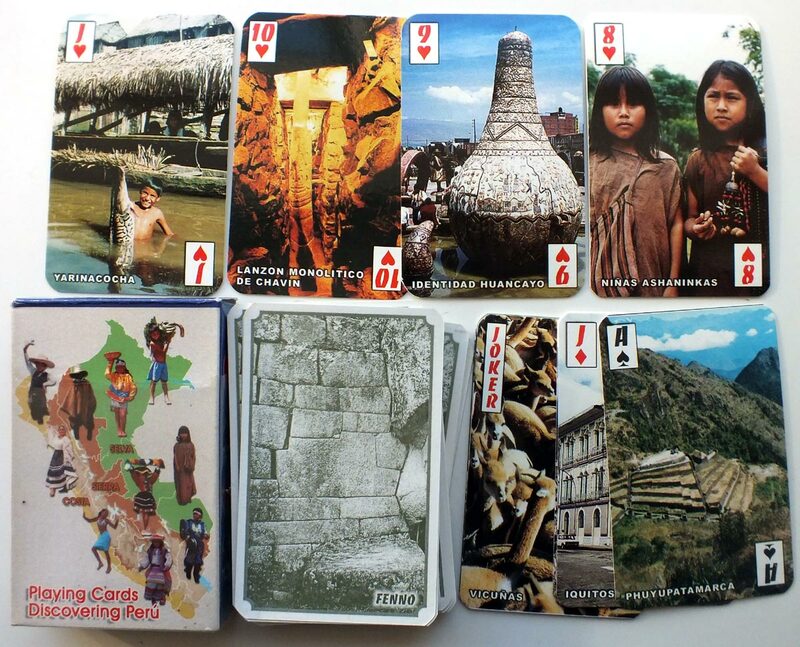 The format is the same for the other titles in the range, with the corner indices and pips placed inside white boxes and the photographs reaching to the edges of the cards.